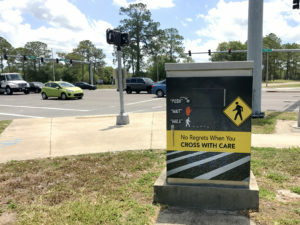 Jacksonville, Florida – Your Community Traffic Safety Team is dedicated to “Bringing You Home Safely.” Please remember to always use the crosswalk or cross at an intersection – not in the middle of the block. 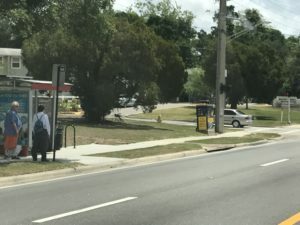 Walk on the sidewalk or walk facing traffic as far over as possible when a sidewalk is not available. 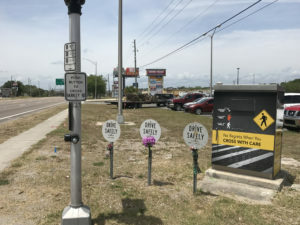 Constantly be aware and make sure drivers see you! 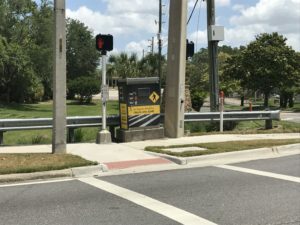 Above is a quick highlight video of the pedestrian safety message installed around traffic control boxes by Northeast Florida Department of Transportation. 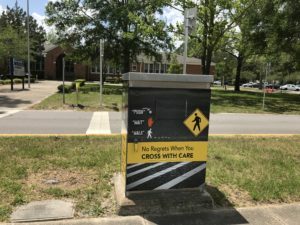 Your Community Traffic Safety Team has been targeting drivers with their “No Regrets When You DRIVE WITH CARE” safety messages and continues to promote safe driving education and reminders. This past year, the campaign extended out onto the streets for a positive reminder to everyone walking on our streets to be safe and arrive alive. 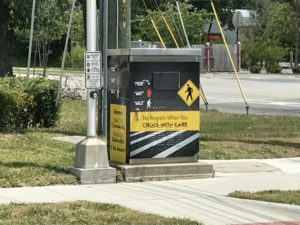 Over 70 pedestrian safety traffic control box wraps have been installed in Northeast Florida. 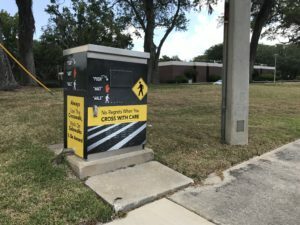 The message reminds walkers to “Always Use The Crosswalk, Walk On Sidewalks & Be Aware!” When crossing a lighted intersection with a crosswalk, it is important to “Push” the crosswalk button, “Wait” for the light to change and cars to completely stop, then “Walk” with caution while making sure oncoming cars are stopping and drivers see you in the crosswalk. 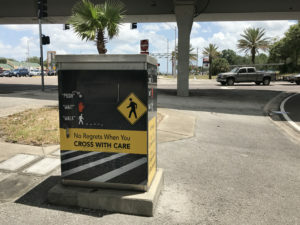 Visit our Pedestrian Safety page for more information and resources.